Located at Fort Jackson, SC, the Armed Forces Chaplaincy Center (AFCC) is home to the U.S. Army Chaplain Center and School (USACHCS), U.S. Naval Chaplain School and Center (NCSC) and the U.S. Air Force Chaplain Corps College (AFCCC). The stained glass window in the entryway of the Armed Forces Chaplaincy Center at Fort Jackson, SC. 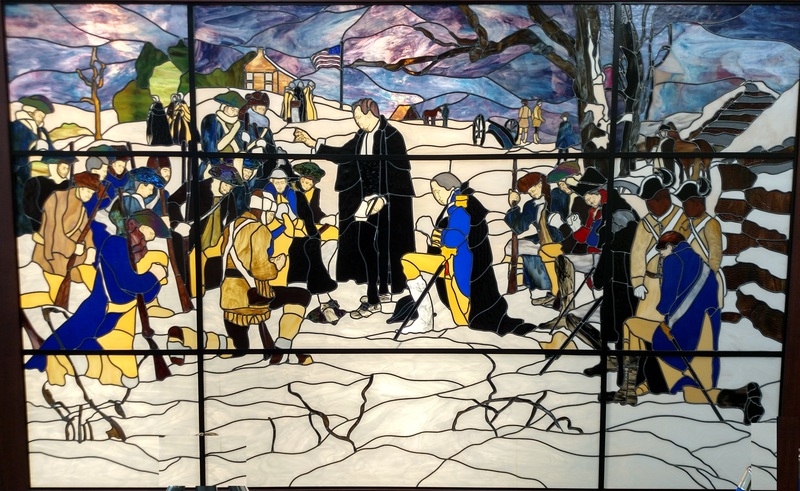 This window was taken from the artwork of William A. Smith and was also featured in the Chaplain Corps prints published in the 1970s.